Recent headlines suggested that your daily caffeine habit might cause cancer. Turns out that's not what the science says. Pity the fool who gets between me and my morning coffee, so when recent “coffee may cause cancer” headlines started popping up everywhere, I was alarmed — until I looked closer. If you’re a coffee lover, sit down and pour yourself a cup of joe — I’ve got some good news. It was a judge — not scientists — who decided that your daily Starbucks has to carry a cancer warning label. The whole brew-haha started when a nonprofit group sued about 90 coffee companies, including Starbucks, Keurig Green Mountain and Peet’s, invoking California’s Proposition 65. Prop. 65, enacted in 1986, requires businesses with more than 10 employees to warn consumers if their products contain one of the more than 900 chemicals the state has ruled may cause cancer or carry other health risks. A preliminary ruling in March was finalized last month. Acrylamide. Acrylamide is formed during high-temperature cooking of many foods, including coffee roasting. You can also find it in French fries, potato chips, crackers, cookies, cereal and pretty much any high-carbohydrate food that has been roasted, baked, toasted or fried. However, there are a few problems with the recent coffee decision. I got the full scoop from Frank Hu, chair of the department of nutrition at the Harvard T.H. Chan School of Public Health, who spoke at the Nutrition & Health Conference in Boston last month. A handful of studies used data from Harvard’s Nurses’ Health Study to look at the relationship between acrylamide intake and cancer risk. “We found no evidence whatsoever that higher intake of acrylamide or higher concentrations of biomarkers of acrylamide in the blood were associated with breast cancer, endometrial cancer or ovarian cancer,” said Hu, adding that the concentration of acrylamide in human blood is relatively low. Specifically, the IARC classified coffee drinking as a Group 3 carcinogen: “Not classifiable as to its carcinogenicity to humans.” To put that in perspective, Group 1 is “carcinogenic to humans,” Group 2A is “probably carcinogenic to humans,” Group 2B is “possibly carcinogenic to humans” and Group 4 is “probably not carcinogenic.” The IARC scientists did point out that drinking very hot beverages of any type probably causes esophageal cancer. So let your coffee or tea cool a bit before sipping. Considering that even Group 1 carcinogens may or may not significantly increase your risk of cancer, there’s little reason to worry about something in Group 3. Consider the magnitude of risk — the ability to cause cancer is one thing. The likelihood is another. If a plane fell out of the sky and dropped on my house right now, it would certainly kill me, but the odds of that happening are highly unlikely. The magnitude of risk is low. 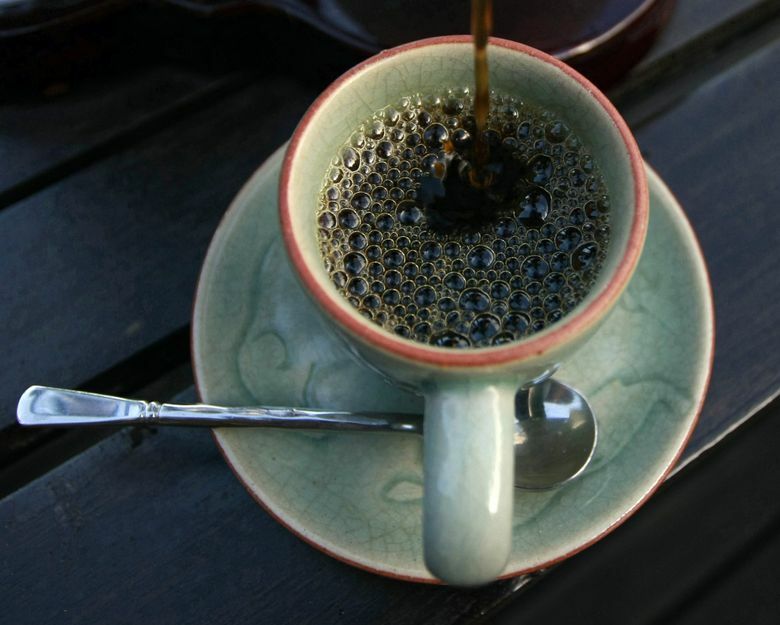 Have some studies found a link between coffee drinking and some forms of cancer? Yes. But Hu said those studies tend to share one big methodological problem — they don’t account for smoking. “We know that smoking is the most important risk factor for cancer, and people who smoke tend to drink coffee,” he said. In other words, if you don’t limit study participants to nonsmokers, or otherwise account for smoking when analyzing data, it can make it appear that cancer risk goes up with coffee consumption. In other words, smokers tend to drink a lot of coffee. Hu points out that coffee is a complex beverage with hundreds of bioactive compounds that have a wide range of effects. Many of these compounds have antioxidant and anti-inflammatory effects, which can help reduce cancer risk. Polyphenols, for example, are one type of phytonutrient — substances produced by plants that have benefits for humans — found in coffee. “One of the most abundant polyphenols in coffee is chlorogenic acid, that’s why you have this bitter taste and strong aroma,” Hu said. A number of studies have found that coffee may benefit cardiovascular and brain health, and can help moderate blood-sugar levels. However, there’s one caveat — if you tend to have high cholesterol, you might want to stay away from the French press. Coffee contains compounds called diterpines that may help reduce cancer risk but can substantially increase total and LDL (“bad”) cholesterol when consumed in high amounts, but drinking filtered coffee removes those compounds. “If you want to improve cardiovascular health, it’s much better to drink filtered coffee than unfiltered coffee,” Hu said. Also, when enjoying your coffee, it’s best to keep intake moderate. Some people have a genetic variation that affects how they metabolize caffeine, significantly increasing their risk of a heart attack. Play it safe by keeping your caffeine intake at or below moderate levels. The safe caffeine limit for healthy nonpregnant adults is 400 milligrams (mg) per day, the amount in four average eight-ounce cups of brewed coffee. You could also go for decaf or “half-caf” — decaffeinated coffee contains the same health-promoting compounds, including polyphenols, found in regular coffee.